Similar with train from Ho Chi Minh to Phan Thiet, there are two categories for train from Saigon to Nha Trang: Golden Train and Vietnam Railway. Golden Trains, the private-operator sleeping-car is a cut above the regular Vietnamese railways sleepers between Saigon (HCMC) and Nha Trang City. It runs attached to the regular SNT1/SNT2 overnight train. These have 4-berth soft sleepers of a higher quality than the regular sleepers operating by Vietnam Railway. Train mark SE2 & SE4 are the best trains from Ho Chi Minh to Nha Trang, whereas, SE1 & SE3 are trains from Nha Trang to Saigon, operating by Vietnam Railway. 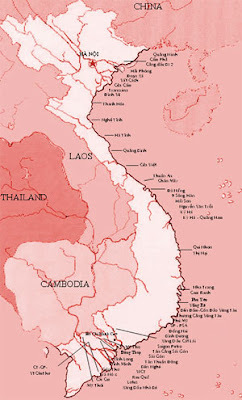 Exactly, they are all running route Saigon to Hanoi and vice versa with stops at Nha Trang station. These trains have variety of choices with air-conditioned soft sleeper (4-berths), air-conditioned hard sleepers (6-berths) and air-conditioned soft seats. Besides, there are trains mark SN3 & SN4 (operating by Vietnam Railway) running route Ho Chi Minh to Nha Trang and vice versa only, riding time of these trains are longest among others. SE2 & SE4: Train from Ho Chi Minh to Hanoi with stopover in Nha Trang. SN3: Train from Nha Trang to Saigon. Tourist train soft sleeper is operated by Golden Train, included mineral water, tissue, and snack on cabin. The prices base on per person/way, included ticket delivery. WC is not in cabin. It is located at the end of the carriage. Halong Bay boasts to be a “must see” destination in Vietnam, especially those visits North of Vietnam. The World Natural Wonder located 170 km from the East of Hanoi with around 3,5 hours driving from Hanoi center and 4 hours from Noi Bai airport with 30 minutes short break on way. How to get HaLong Bay from Hanoi or Noi bai airport? There are multiple choices that can be suite any budget and traveling purpose. This type of transfer is available for departing from Hanoi center only. The shuttle bus can be understood as “tourist bus”, leaving Hanoi around 08:00 and return at 12:00 from Halong Bay everyday. If your hotel located in Hanoi Old Quarter, you will be picking up from the hotel. Otherwise, you have to take a taxi to meeting point. There are maximum 14 people on shuttle bus – the Ford Transit minivan. It is normally using by local people, departing from fix stations, which located outside Hanoi center. Traveling by public bus, you need to take taxi to the stations and buy the ticket. The buses depart hourly and arrival Halong station after more than 4hours driving. Arrival in Halong Bay: Halong Bus Station. Travelling by private car considers the best choice as its flexibility, safety, quality and valuable rates. It also seem be uniquely way to reach Halong Bay from Noi Bai airport despite the taxi collection as it is indeed unsafe enough because of old age, careless drivers and non-competitive price. Almost the same taxi cost, you have your own quality car, be greeted by friendly & helpful driver, 24hours English Speaking assistance and useful consultancy… This means of transfer is really worth for your expense. What's the best way to see Halong Bay?! Surely, there is nothing greater than admire fabulous Halong Bay from helicopter! In fact, there was “helicopter taxi” for route Hanoi to Halong Bay few years ago, however, due to inefficient operation, this service no longer remain. Thus, charter is the only way to be able to see Halong from above. Because of not popular in Vietnam, the only way you can use this means of transportation is charter at rather expensive rate. So, this service is suitable for a group, big family or V.I.P. The helicopter takes off from Gia Lam airport – a domestic airport, flying about 1 hour from Hanoi and vice versa. The rates above excluded ground transfers. Ex: Car for transfer from hotel in Hanoi to Gia Lam airport…. There are totally 166 ports in Vietnam, stretching from north to south, in which, 10 ports serving tourist ships. All tourist seaports located in the most famous destinations, convenient for sightseeing and doing shore excursion. Cai Lan port in Quang Ninh province, it located 15’ driving to Ha Long Bay World Heritage and about 175km to Hanoi capital. Dinh Vu port in Hai Phong city: 20km from Hai Phong City and 125km from Hanoi. Tien Sa port in Da Nang City: 130km from Hue, 15km from Da Nang and 50km from Hoi An. Cau Da port in Nha Trang City: It located just around 5km from the city center. Quy Nhon port in Binh Dinh province: It is about 10km from Quy Nhon city center. Phu My port, Vung Tau province: This is the most popular port in Vietnam, it is about 55km from Vung Tau city and 90km from Ho Chi Minh City. Lotus port, Ho Chi Minh City: It located nearby the city, just about 5km from city center. An Thoi port, Phu Quoc island: Located in North of Phu Quoc, it is about 17km from Duong Dong town, Phu Quoc island. Notes: Recommend shore excursion and thing to do, please click here. Port fees, similar as airport tax applying for all cruise passengers who take shore excursion and services. If you process shore excursion package from your cruise lines or appointed travel agents at the ports, the fee included in price. Of course, the rate is more expensive than booking with local operator. Price excluded: Guide, entrance fees, personal expenses, tips. Port fee price bases on per person. Hoi An – a charming ancient town which brings the poetic feeling for anyone visiting. It is about 30 km from Da Nang to Hoi An with around 45 minutes driving. You can easily access to Hoi An from Da Nang airport by bus, private car or taxi. 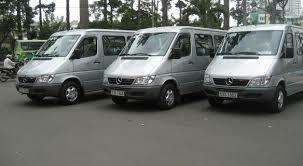 Private car rental will be the best choice for safe and excellent quality. You will not bother your luggage as shuttle bus, not be anxious for driving and rate as taxi. Take a private car you can completely relax, be the best care with 24hours service and always on time at your proposal. Bus from Da Nang to Hoi An operating hourly. It starts from central bus station in Dien Bien Phu street, Da Nang City and finish in Pham Hong Thai street, Hoi An. Rate for bus is 1US$ (20.000VND) per person. We offer the shuttle bus from Da Nang airport to Hoi An town and vice versa by minivan – Mercedes Sprinter with maximum 10 persons per car. It takes around 45’ driving and you will be dropped off at your hotel instead of a fix station at rate 6 US$/pax/way. There are some taxis companies allow to working in Da Nang airport, so it is not very difficult to take a taxi to Hoi An. However, you should check the price before getting the taxi as sometimes the drivers ask supplement. They also refuse serving for a short route requirement. Da Nang Airport to Hoi An Town: 400.000 VND (20 US$) for one way transfer by 4 seats car & 5000.000 VND (25US$) for per 7 seats car. Da Nang airport to My Son Holly Land: 710.000VND (35 US$) for one way transfer by 4 seats car or 800.000 VND (40 US$) for per 7 seats car. Da Nang airport to Hue: 1.150.000 VND (55 US$) for one way transfer by 4 seats car & 1.250.000 VND (60 US$) for per 7 seats car. Phan Thiet is owner of the most beautiful beach in Vietnam. Mui Ne locate around 20km from the city, Mui Ne attracts anyone by its pristine smooth beaches, golden sand dunes, fresh seafood, year round tropical climate and very friendly fishermen. It takes about 4 hours driving from Saigon to Mui Ne (198 km), no doubt, Mui Ne is indeed a seashore paradise nearby Ho Chi Minh City. If departing from Ho Chi Minh City center, you can take train, bus, taxi or private car. However, there are availability taxi and private car for your departing from Ho Chi Minh airport only. Landing in Ho Chi Minh airport then going straight to Mui Ne, you can take only taxi or private car transfer. Taxi is not cheaper than private car, sometime more expensive so, transfer from Saigon airport to Mui Ne consider nothing better than private car. Except for urgently traveling without reservation in advance, there are no reasons to take an old taxi instead of quality private car at the same rate with 24hours support. Driver speaks mainly Vietnamese but on-phone assistance is available 24/7. 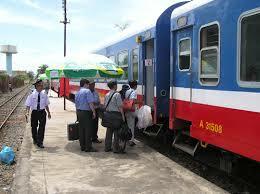 There are two daily trains from Ho Chi Minh City to Phan Thiet and vice versa. The first class carriages on the train are called "Golden Train" and also be only one of comfort, cleanness and spacious. The seats are reminiscent of 1950's airline seats; comfortable but not luxurious. Rate is 15US$/way, included ticket delivery. The other train belonging to Vietnam Railway, it is popular for local people, not really comfortable enough. Rate is from 6US$ to 10US$/way at Saigon Railway Station. Saigon Station: No 1, Nguyen Thong Street, Dist 3, Ho Chi Minh City. Phan Thiet Station: H59, Le Hong Phong Street, Phan Thiet City. Muong Man Station: Ham Thuan Nam, Binh Thuan province. There are hourly buses from Ho Chi Minh City to Mui Ne, cost around VND 220,000 (12US$) including service fee, just slightly less than the golden train. All the major buses companies serving Phan Thiet leave from the corner of Pham Ngu Lao and De Tham in District 1,Ho Chi Minh City. Their offices are all near that corner. Just go to one of the offices and get a ticket for the date and time you wish to go. You can book in advance with us by mail for hotel delivering. Depart in Ho Chi Minh City: 274-276 Đe Tham Street, Dist 1, Ho Chi Minh City at 07h30; 15h00. Phan Thiet office: 326 Street 19-4, Phan Thiet City. Ho Chi Minh airport is the oldest and largest among international airports in Vietnam. It was built in 1930, following Tan Son Nhat name, located in the north of the city, about 8km from center. There is no shuttle bus from the airport to city center, whereas, public bus is available outside the airport’s area. So that, taxi and private car must be the best convenience transfer from Ho Chi Minh airport (former Saigon airport) to city center. Airport taxi can be easily taken outside arrival hall at rate around 8 US$/taxi to dist 1. However, its quality is indeed not good condition, old and dirty looking. To save fuel, taxi driver normally not turn on air-conditioner that brings hot atmosphere in car. Luckily, taxi drivers are quite nice enough but sometimes they have to fighting each other to get customers as too much taxi operating at the airport. Because of taxi cost not fix but following meter, so you may be paid more expense by dishonest drivers running around rather than short way to your hotel. Private car service offered fix price that will make your peace of mind, especially landing in evening. Multiple choice from executive to stretched limousine, 24hours English Speaking support, high standard fleets and helpful driver will make your arrival unforgettably.